Do you or a family member have pain in your bottom that shoots down your leg? Do you have pain down your leg after sitting for long periods of time? That pain pattern is similar to that of piriformis syndrome. Look below for some things to consider! For one thing: there are several other diagnoses that could contribute similar symptoms. Plus, there are several theories as to what actually causes Piriformis Syndrome in the first place. This is where it is so crucial that we, as clinicians, treat each patient individually. It's possible that not every patient needs a Piriformis stretch. If the patient has a stiff Piriformis, sure a stretch is appropriate. But if movement patterns are faulty and glutes are weak maybe maybe those need addressing. 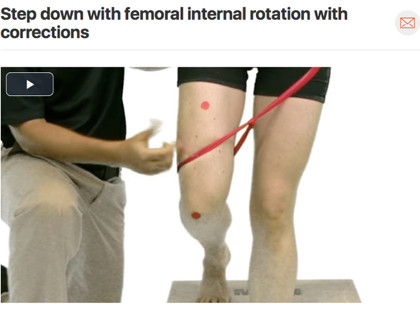 Here's an article that will educate your patients on what Piriformis Syndrome is, making sense of the different theories, and offering some exercises that address common impairments.